Extra Space Storage is a thirty year old storage company that has been involved in the self-storage industry since its inception. 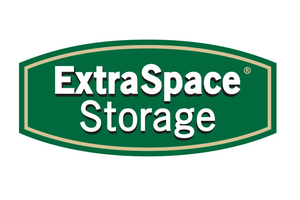 Extra Space Storage is the second largest operator of self storage in the U.S., and is a national owner, developer, acquirer and operator of professionally managed self-storage properties. It is our dedication to customer service that has made Extra Space Storage a leader in the industry for over 25 years. We are committed to being the most convenient, secure and professional storage solution in your neighborhood. And it is this commitment which has allowed Extra Space Storage to become the second largest self-storage operator in the U.S. with over 1,100 properties across the country. Extra Space Storage and Budget Truck Rental team up to provide customers with additional convenience and reliability. Under that agreement, select Extra Space Storage locations across the United States will feature Budget rental trucks on site to meet customers’ storage and transportation needs.